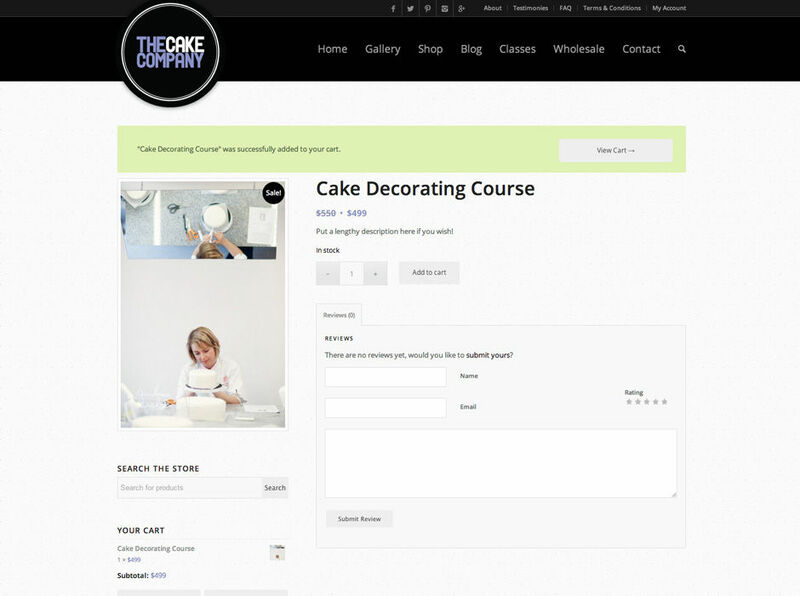 The Cake Company Product Page presents an image and information about the product. Customers can also leave a rating and review of products. These can be published automatically or you can moderate them before they are published.